Manitoba Green Retrofit(MGR) has been growing rapidly and is producing excellent results. 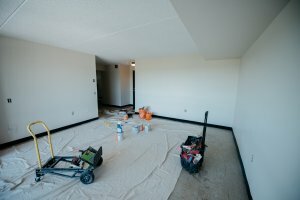 Jubilee provided a loan guarantee for working capital the social enterprise required to take on a contract from Manitoba Housing to refresh several Manitoba Housing units. A Social Return on Investment (SROI) evaluation of the MGR operation, showed that for every dollar invested in MGR, the social enterprise returns four dollars in social benefit to the participants. At the same time, this saves Government money that is not spent on other Government support programs since these folks are employed with MGR.